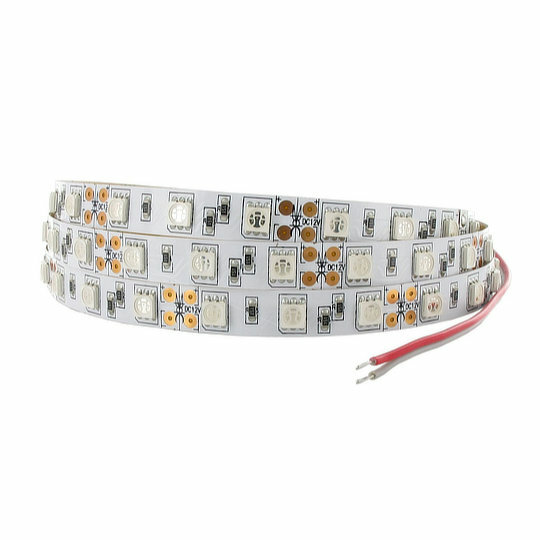 The FP3 series of LED strips from Sloan are available in 2.5m 12V or 5m 24V long strips with a thickness of 2.1mm and 150 LED’s (2.5m) or 300 LED’s (5m) dispersed at 16.26mm intervals. Available in either 12V or 24V at 3A both with a wattage of 14.4W/m in the following colours and brightnesses…. The FP3 series come with pre-applied adhesive tape on the back for quick installation and can be cut at 100mm intervals with 5m models or 50mm intervals with 2.5m models.